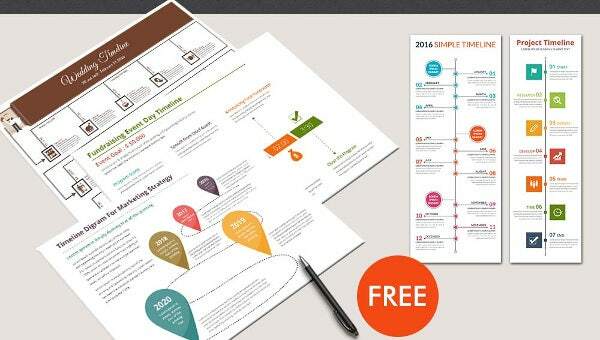 This big, versatile template package features a huge selection of Timeline Templates with a variety of Timelines, charts, graphs, diagrams and much, much more. Fully editable so you?ll be able to use these templates for years to come. Choose the template that suit your presentations and purposes best, and customize them to meet your exact needs. Gain audience understanding, appreciation and support with these high-impact designs. 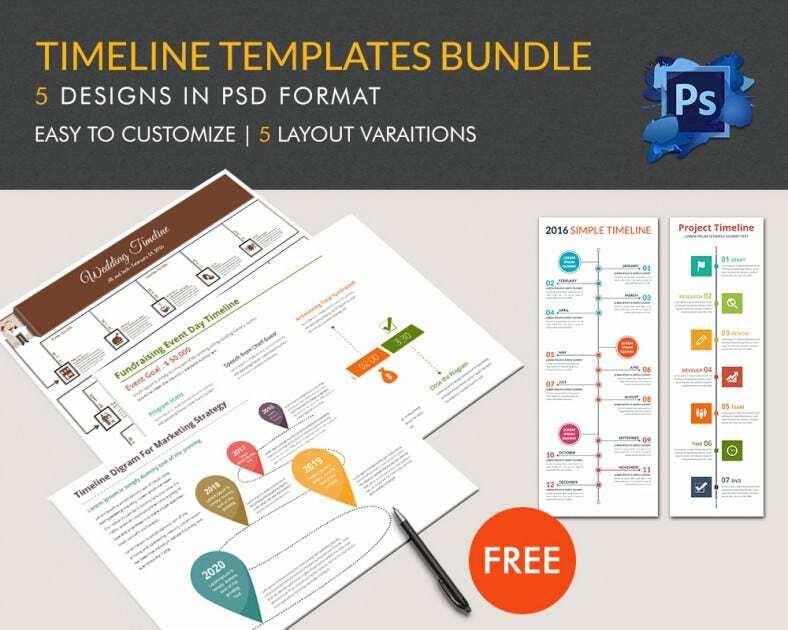 This free timeline bundle includes 5 designs in psd format.All templates are easily customizable & easy editable.5 layout variations are included to get u perfect timeline design.All free images & fonts are included to this bundle.